In 1978, a Jetliner Crash-Landed on Burnside. In “Crash Course,” Journalist Julie Whipple Explores How the Accident Changed Aviation. There were no casualties on the ground. Ten of the 189 people onboard, however, died. On the evening of Dec. 28, 1978, a plane fell out of the sky above Portland. At approximately 6:15 pm, a passenger jet bound for Portland from Denver dropped out the darkness above the Rockwood neighborhood in Gresham, skidding across East Burnside Street and into a vacant lot near 157th Avenue. Though the plane touched down at rush hour, there were no casualties on the ground. Ten of the 189 people onboard, however, died. Within a week, the DC-8 was cut into pieces and hauled away, and traffic on Burnside proceeded as usual. But the legacy of United Flight 173 lingered long after the wreckage was cleared away. 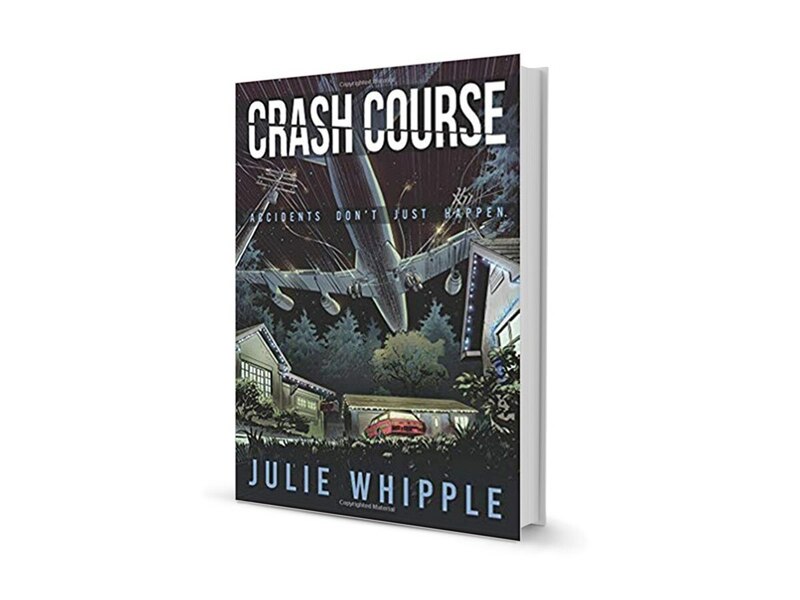 In her book, Crash Course (Yamhill Canyon Press, 296 pages, $17.95), journalist Julie Whipple documents the tragedy and the effect it had on everything from corporate litigation to surgical procedures. Whipple also has a personal connection to the crash. Her father represented a 3-year-old girl, whose family died in the accident, in a lawsuit against United Airlines. "We would hear about it at the dinner table," she explains. "There were a lot of things that came out at trial that no one else has." WW spoke with Whipple about the crash, the ensuing legal battle and its impact on aviation maintenance. WW: For those unfamiliar with the crash, what happened? Julie Whipple: Everything was routine on the first leg and everything was routine on the second leg, until they got into Portland airspace. They were preparing for landing, they put the landing gear down and it just came down with two enormous jolts. It shocked everybody. They let Portland approach control know they had a problem with their landing gear, and they were put into a sort of holding pattern so that they could figure out what was going on. Well, that holding pattern lasted for an hour, and during that time, they ran out of fuel. They skidded across Burnside at rush hour, basically, and landed in a dark, empty lot, which is what the pilot was aiming for. He was looking for something that was dark, not lighted, hoping that it was a city park, a playground or something. The plane remained mostly intact, except for the cockpit and the first section and some of the forward area of coach. It was a miraculous thing, even though it was also a terrible tragedy. How did United Flight 173 change airline operations? A big focus after the accident was what was going on in the cockpit that three professional aviators were somehow not able to identify that their fuel was critically low. And so what came out of that was a collaborative decision-making system, called "crew resource management," that changed the dynamic in the cockpit. It was aimed at reducing errors. The fuel oversight came from having a very top-down, dictatorial, Right Stuff kind of captain in charge. Crew resource management made it obligatory for all the crew members to speak up and really convey their concerns. That system was adopted across all of the airlines, and then it was adopted in the health care field, because they were having the very same problem with their surgeons. So that now, if you go to medical school, they study United Flight 173, in order for people to reduce errors in the operating room. They did the same thing in firefighting. What happened during the girl's lawsuit that your father led against United? My dad sued United based on the fact that they had not maintained the landing gear, which led to this landing-gear issue that completely discombobulated the crew and then led to them running out of fuel. United had received from McDonnell Douglas, the plane manufacturer, three service bulletins over the course of 10 years before the crash, talking about this particular mechanical issue that they knew about. United had worked on the left landing gear, but they had not fixed the right side, for some reason. What impact did the trial have? I think it had an impact in our civil justice system. It was kind of a signpost for how things were going in terms of individual protections for people who have been injured by either an unsafe product or an unsafe practice by a corporation. It's a lot harder now to actually have your day in court. Legislation and civil procedure is such that almost nothing gets to trial anymore, which is where you would see the kind of exposure and discovery that happens. So what we learned in the United 173 trial is something that would almost not be possible today. I think it's almost a skylight into our justice system, especially when individuals are concerned, especially when they're up against a kind of Goliath. SEE IT: Julie Whipple reads at Powell's City of Books, 1005 W Burnside St., powells.com, on Monday, Aug. 20. 7:30 pm.